Did You Get Your Postcard? Please let us know so we can correct your address. Have you kept in touch with high school friends? 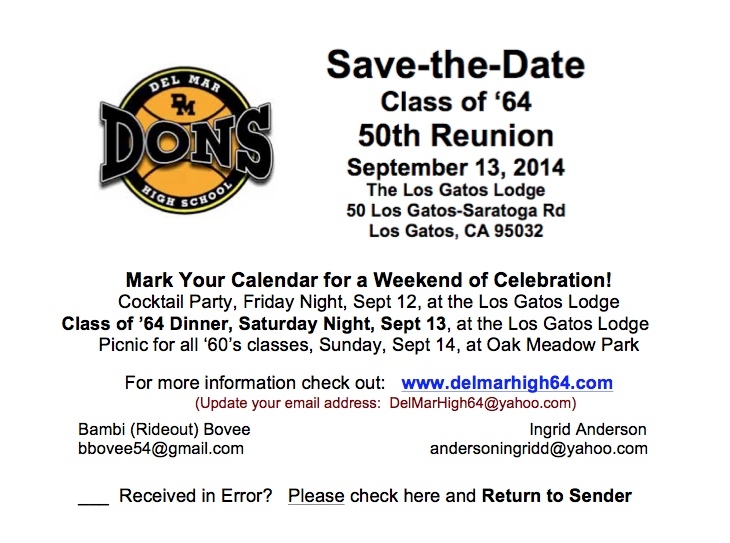 Let them know about the upcoming reunion weekend!